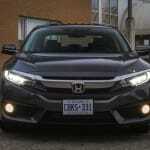 The current Civic is by-far the most refined yet with a very quiet cabin and soft ride. It’s not easy being the Civic. Honda’s massive success with this car over the years means it is often the benchmark other manufactures set out to beat. 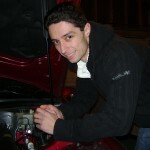 The Civic also owes a lot of its success to its wide range of appeal, from a student’s first set of wheels, a young enthusiast’s toy, to a professional’s commuter car; the Civic is called on to be a lot of things to a lot of people. 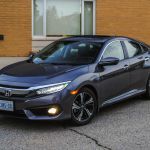 That’s no easy task, and with intense competition in the compact segment the team at Honda have kept the Civic on its toes, continually evolving to keep up with the increasingly high standards in the segment. 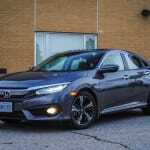 The Civic has enjoyed a bit of a skew towards the performance side of the segment, and with the new Civic Si and Type-R now available, that trend is likely to continue. 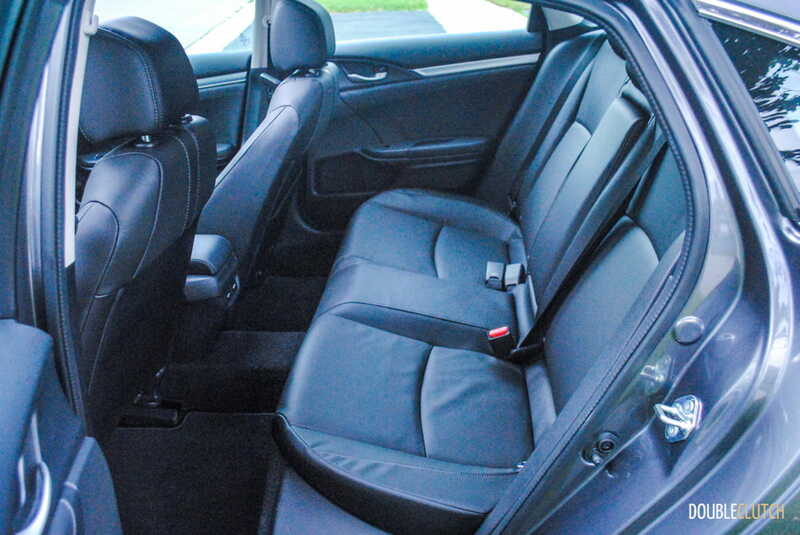 On the more reserved and refined side of the Civic sits the regular sedan, which is obviously the volume seller. 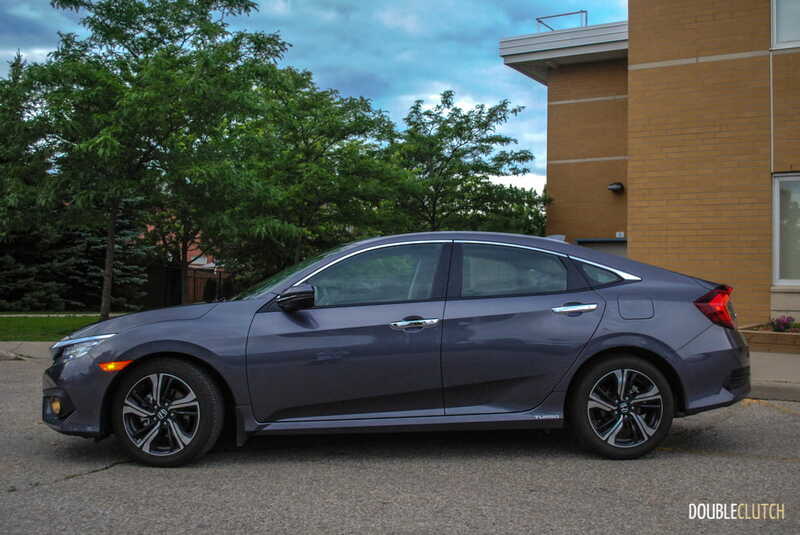 When kitted out in the top-tier trim like this 2017 Honda Civic Touring Sedan like this week’s test car, it’s also the best-equipped and most polished Civic to date. 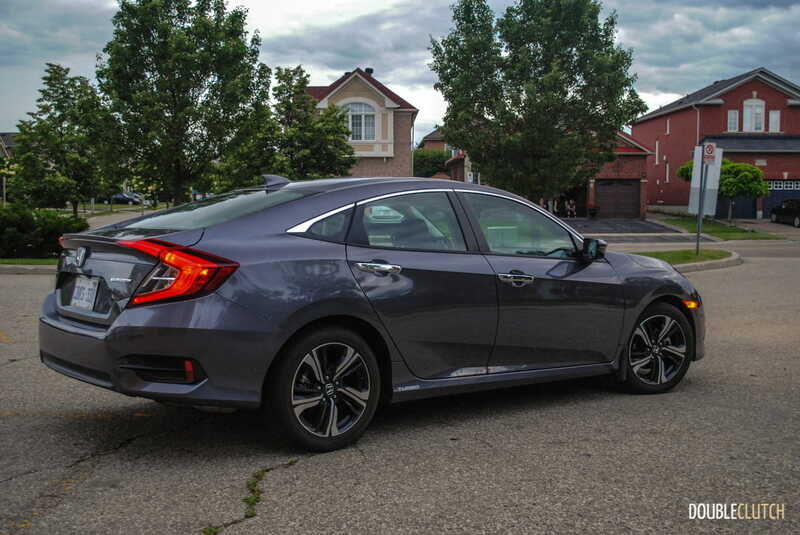 Clearly the Civic is working hard to stand out from the pack, and that’s most obvious from its bold styling that retains very little in the way of styling ques from previous generations. 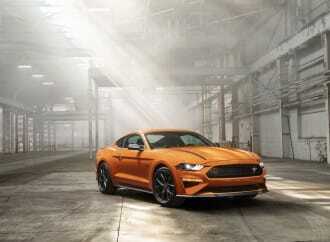 Rather, it features a prominent Acura-esque chrome front brow flanked by LED headlamps, leading into a rather aggressive stance and angles and dominant boomerang-shaped taillights out back. 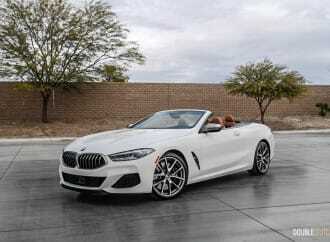 Love it or hate it, it’s definitely fresh and modern, but whether the looks will age as well as the outgoing model is yet to be known. 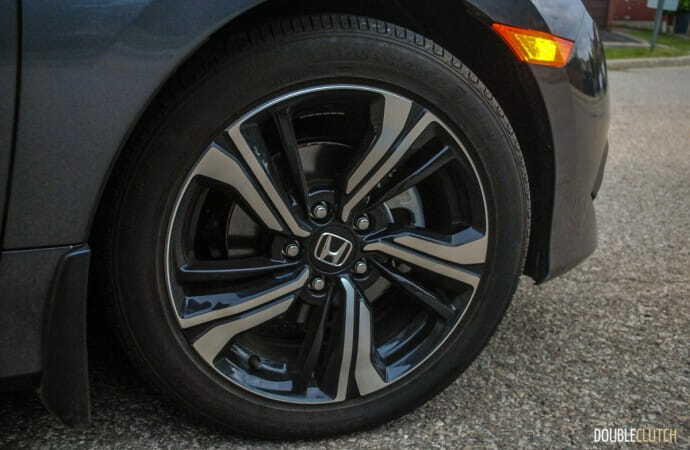 Overall exterior fitment is good, and the paintwork is what one might expect on a Civic, not award winning, but decent. 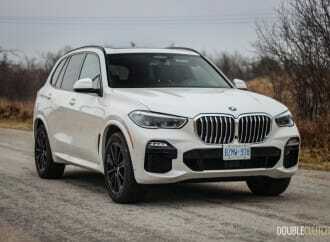 If there is one ugly wart to call out it’s the big chrome door handles. Understanding that they tie into the grill, and are intended to lend a premium feel, they actually look and feel anything but premium. 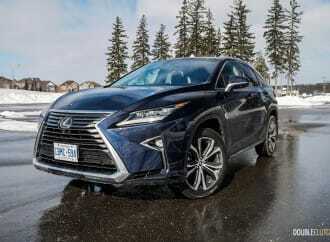 Fortunately, the interior is a lot less quirky than the previous model and does succeed in feeling just a bit upscale, especially for a compact. 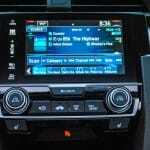 The materials used are largely improved and one would be hard pressed to find a surface that isn’t soft-touch. Of course, the Civic is not a luxury car, so pillar panels and the headliner are still made of cheaper material, but the dash, door panels, and centre console are all very well done and feel great. 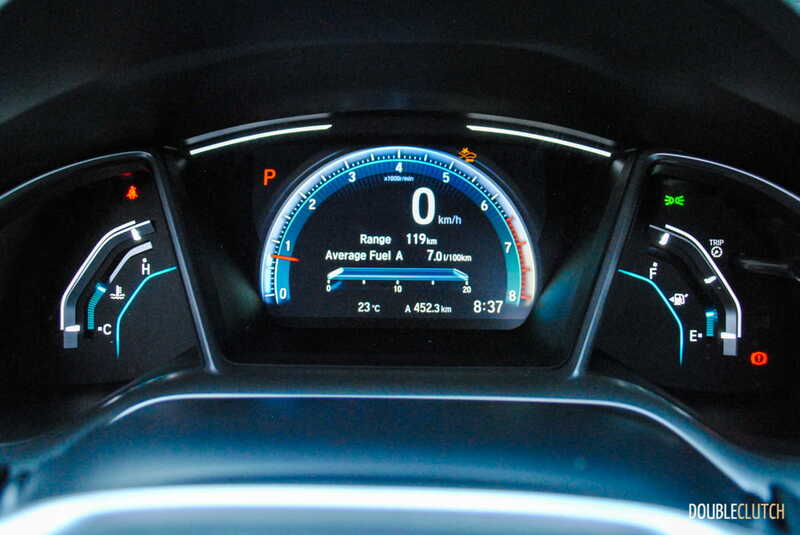 The colors and scales on the digital gauge cluster take a few minutes to get used to, but once you understand it, it’s fairly intuitive and easy to read. 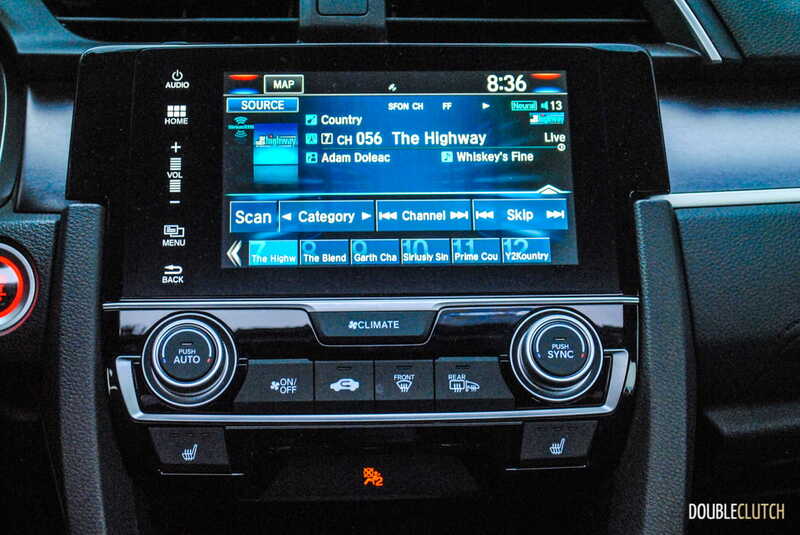 The dash is dominated by a crystal clear touchscreen infotainment system which is also a lot more intuitive to operate than older versions. 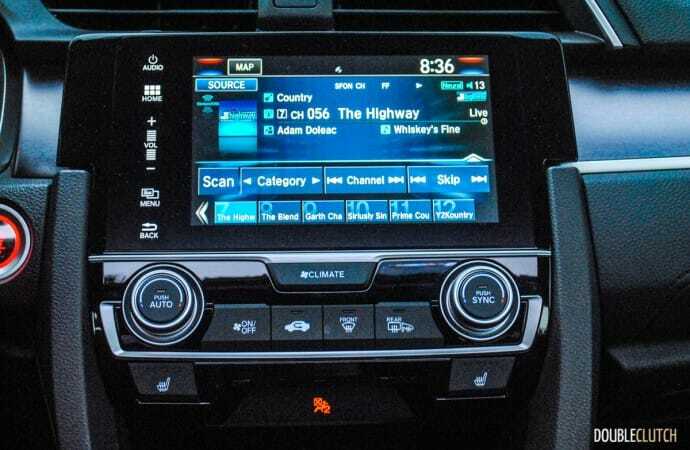 That said, there are still no volume or tuner control knobs, so you’re stuck using either the touch slider or the steering wheel controls for audio inputs. To make this just a bit more annoying, the steering wheel volume button is both touch and push sensitive, so volume changes need to be carefully planned. The steering wheel itself is a very nice thick leather wrapped unit which feels great in your hands, although it is not heated. 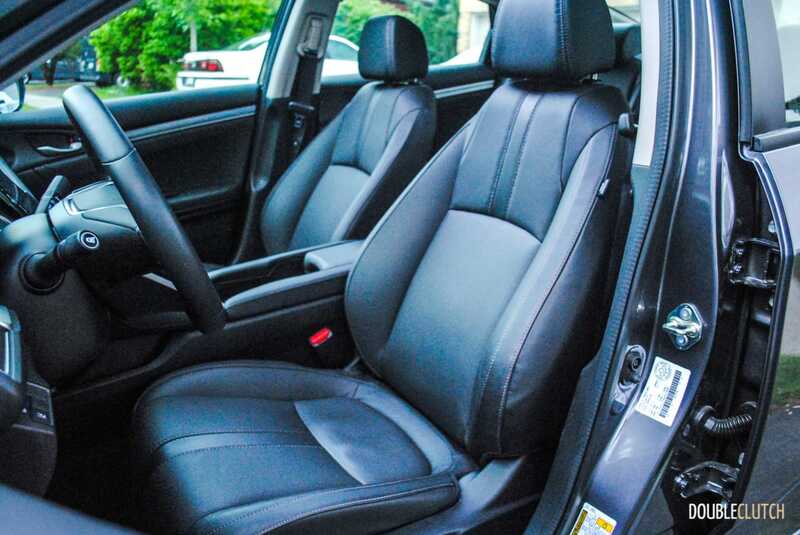 The leather seats in the Civic Touring are very comfortable for long drives and the armrests are well positioned, which definitely helps after a couple hours on the road. Storage up front is also good with a convenient wireless cell phone charging pad, a handy storage bin, two decent-sized cup holders, door pockets, and a glove box. 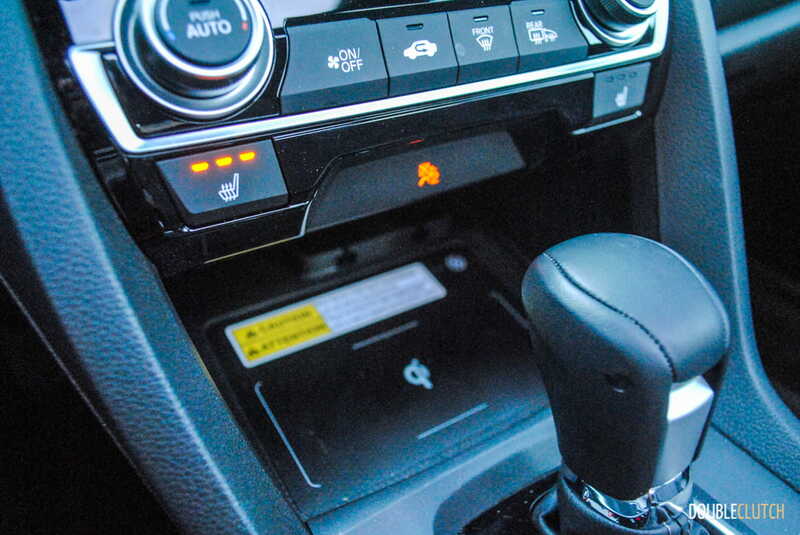 The only issue is the new centre console storage is open to the cup holder area. This is likely done in the name of flexibility, but there’s the added risk that any drink spills end up directly on whatever you’re storing in the centre console. 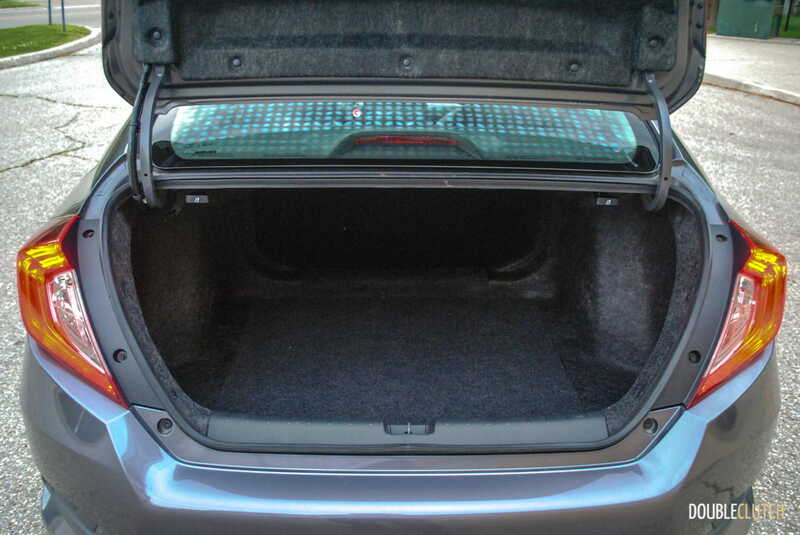 The Civic’s rear seats offer plenty of head and legroom, even for adults, and the rear bench is evenly split 60/40 to fold forward allowing for bulkier cargo to pass through to the trunk. 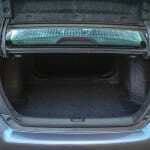 If a Civic is going to serve as the only or primary car in the household, the extra cargo versatility will definitely come in handy. The Civic is extremely well equipped for a compact with heated seats all the way around, a power moonroof, 10-speaker sound system, powered front seats, dual-zone automatic climate control, rain sensing wipers and the full suite of Honda Sensing safety equipment. 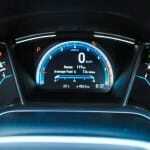 The only glaring omission that can be found elsewhere in the segment is the heated steering wheel. 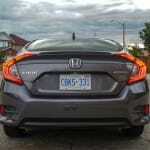 The Honda Sensing does add adaptive cruise control, which is a very nice feature to have, along with a list of electronic driving nannies to help keep the Civic in the lane or on the road, and mitigate the impact if there ever were an accident. The Civic sedan comes with one of two engines; the base 2.0L naturally aspirated four-cylinder with 158 horsepower or the EarthDreams turbocharged 1.5L four-cylinder with a healthier 174 horsepower and 162 lb-ft. of torque. 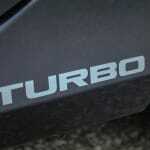 The Touring (and the EX-T) trim level can only be had with the more powerful 1.5L turbo. The extra 16 horsepower and additional 24 lb-ft. of torque don’t make the Civic a powerhouse, but it does out power the 1.4T in the Jetta (reviewed here) or the 1.4T in the Chevy Cruze, both of which boast closer to 150 horsepower. 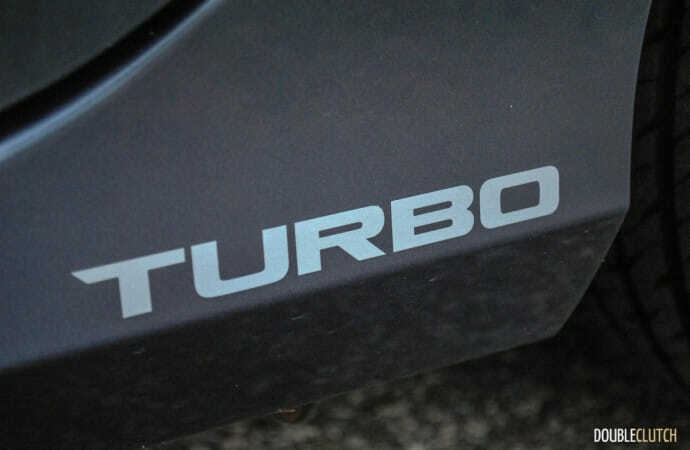 Honda’s turbo motor does feel peppier while making quick maneuvers or passing, and while not quite as refined as the Jetta, is it very comparable in terms of power delivery. 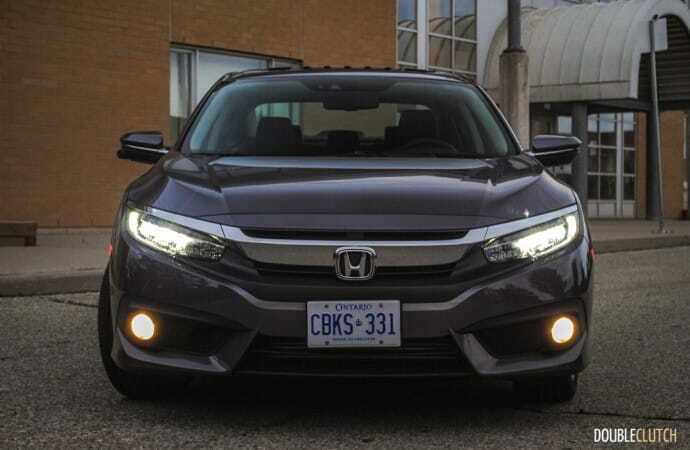 The CVT is the only transmission available with this particular version of the 1.5T, but it is a very good example of a CVT with smooth quiet operation and quick response, but it does feel like the Civic would be a lot more fun with a more traditional six-speed automatic like the one in the Jetta. 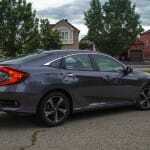 The Civic Hatchback (reviewed here) can be had with the turbocharged motor and the manual transmission. 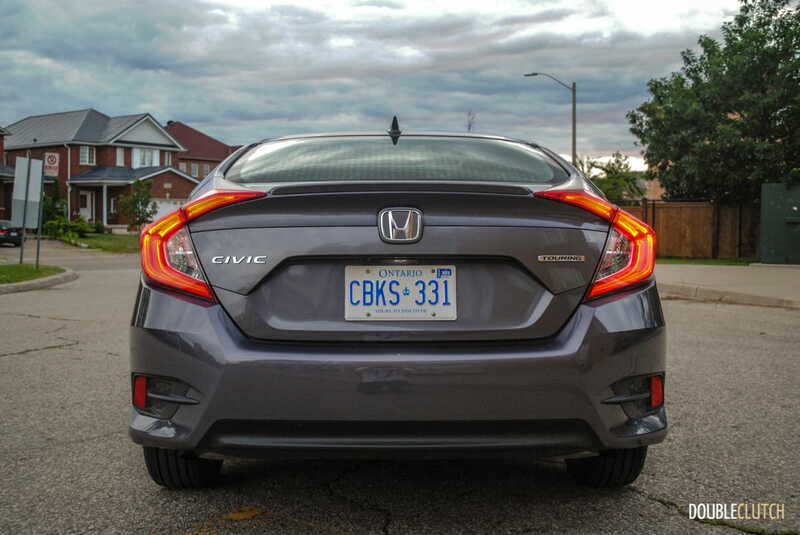 While the CVT should promise improved fuel economy, and it did deliver with a 7.0L/100km average for the week of mixed rush hour commuting, the Civic did not top the numbers posted by the comparable Jetta for the same drive but in harsher winter conditions. Still, the Civic is a definite fuel saver that’s happy on regular grade fuel; it sure is nice to see those $45 fill-ups again. 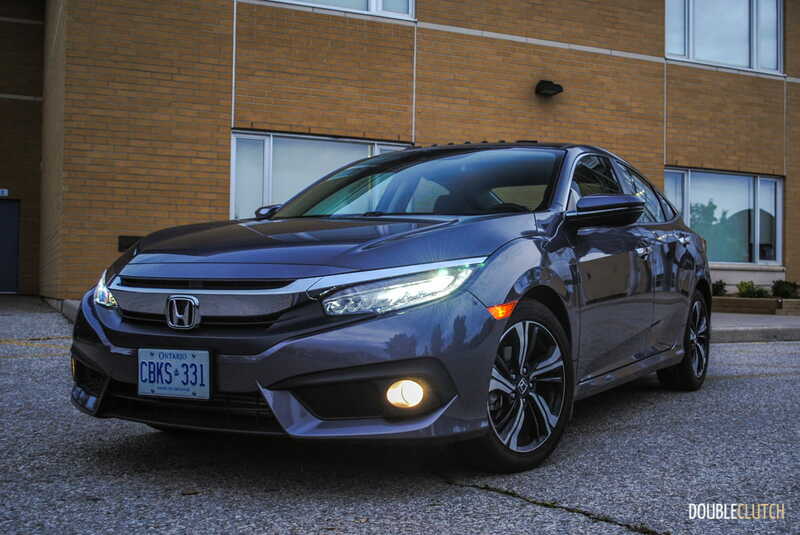 The current Civic is by-far the most refined yet with a very quiet cabin and soft ride that does a great job minimizing the rough city streets. The car handles tight and is well enough composed through the twisties that it can be fun, but there is a noticeable lack of steering feel. This in turn means that the Civic doesn’t necessarily instill that sense of control and confidence that inspires you to want to play. This is the sacrifice that one makes for a quiet and comfortable ride for commuting. The busy commute is truly where the Civic shines. 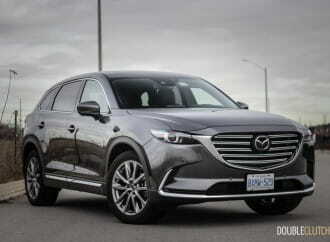 With its peppy engine and nimble handling it’s easy to maneuver, and the comfortable and isolated interior keeps you fresh on those highway runs. 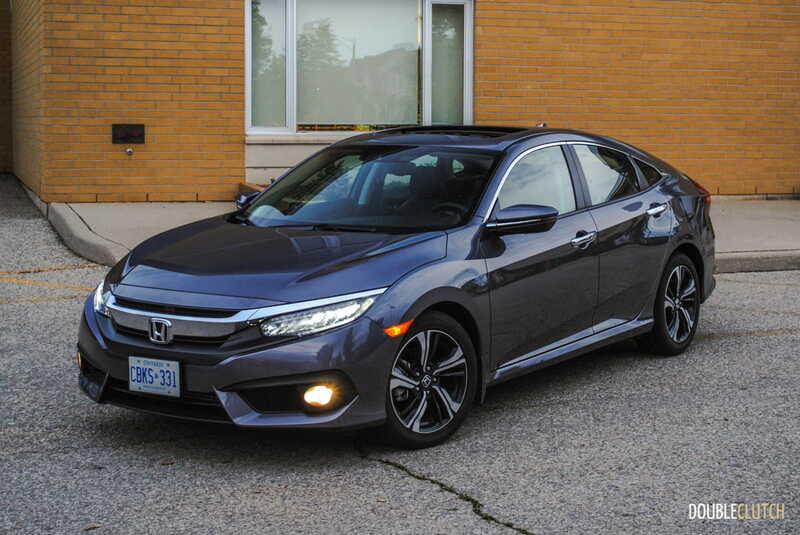 Pricing is directly aligned with the rest of the compact market, so you’ll pay no premium for the historical reliability, resale or other equity that the Civic nameplate may carry. 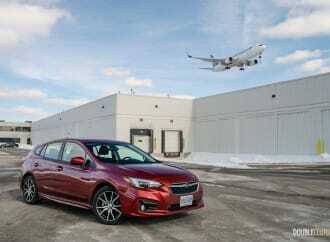 A base sedan starts at $16,490 and the as-tested Touring model comes to $27,490. 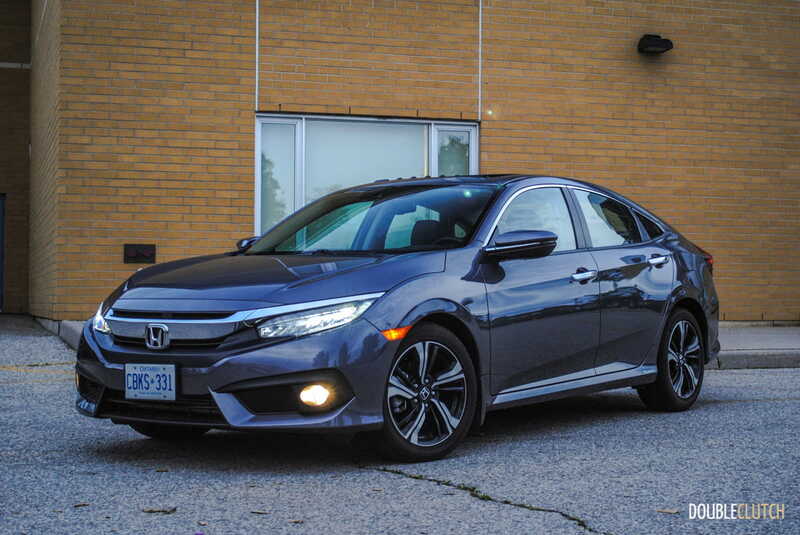 At this price, the Civic offers a very compelling package with a powerful turbocharged engine, the latest and greatest safety tech and refined ride and interior. 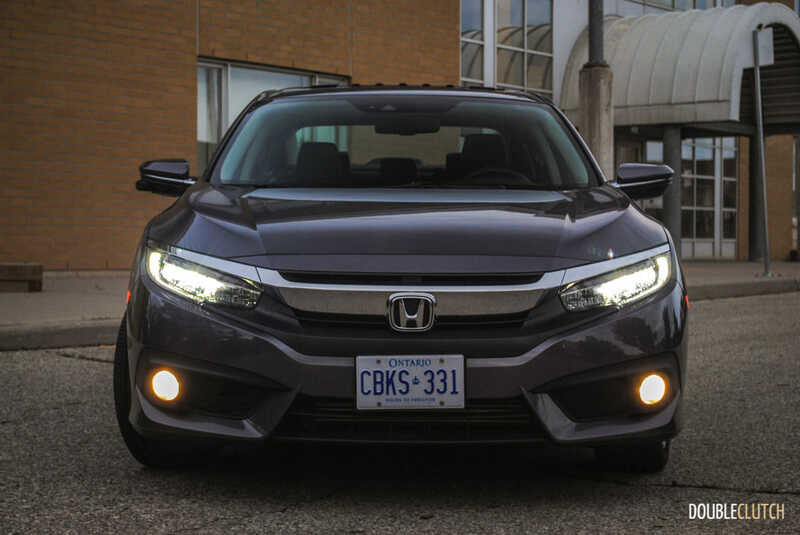 In the world of crossovers and SUVs, the 2017 Honda Civic Touring still delivers a little something for everyone, offering more than enough space for a young urban family, enough features for the weary commuters, and plenty of tech and modern style for new buyers.